PCPE CONTINUES THE STRUGGLE UNDER THE NAME "COMMUNIST PARTY OF THE WORKERS OF SPAIN" (PCTE). It is a fact there are two parties which have been using the designation PCPE in their daily political activity after the 5th Plenary Session of the Central Committee held on April 22-23, 2017. That session opened a period when in practice there have been two organizations which have operated with the same designation and the same symbols, but with different political and executive boards, with different publishments and different people in charge of the General Secretariat. All over these almost two years, we could check how this situation of duplicity has been increasingly becoming a major problem for the development of our political work, as there was the risk to mistakenly attribute – as it has already happened – political and ideological stances we do not share and which are the outcome of the ideological eclecticism and the deviations of our old comrades, which were already denounced then by the majority of PCPE cells and committees, by the majority of the Collectives of Communist Youth, by a Central Conference and by an Extraordinary Congress. We have always upheld that a political settlement to the crisis within the PCPE was possible, specially to prevent the bourgeois courts to be those which decide on the future of our Party. Unfortunately others have prefered to try to win their legitimacy in the courts while they covered their political incapacity under a mantle of insults and threats that eventually covered an acronym with 35 years of history with mud and sludge. The existence of two parties named PCPE, both members of the International Meeting of Communist and Workers' Parties, is within the international relations an anomaly and an additional difficulty to the communist work in this sphere, where the relations of each party must be able to be built and developed with freedom, without manoeuvres nor confusions which do not benefit anyone. The 20th International Meeting of Communist and Workers' Parties, held in Athens in November 2018, agreed to acknowledge the existence of two PCPE's, but at the same time requested to both Parties to try to solve, and without generating any other sterile discussion in the International Communist Movement, the current situation, specifically including the change of designation for one of the two parties as a means for a solution. We are the heirs of the communist struggle carried out in Spain since the creation in our country of the first Spanish Section of the Communist International. Of the PCE of José Díaz and Dolores, of the PCOE of Líster – who denounced Carrillo's betrayal – and of the PCPE – and the organizations that merged to create it in that 1984 Congress of Unity – that was able to organize all over the country the communists who resisted the best they could Eurocommunism and the later counter-revolutionary triumph in the USSR and the rest of the European Socialist Bloc. The 11th (Extraordinary) Congress of the PCPE meant a turning point for the communist struggle in our country and opened a new era when, after several decades of struggle, the Leninist path is recovered in Spain. As we said then, it is the moment to recover the path showed by the Great Socialist October Revolution and to forge the Party that will lead our working class to power. Because of all of this, the Central Committee of the PCPE, met in an extraordinary way in Madrid, on the basis of the agreements of the 11th (Extraordinary) Congress of the PCPE. 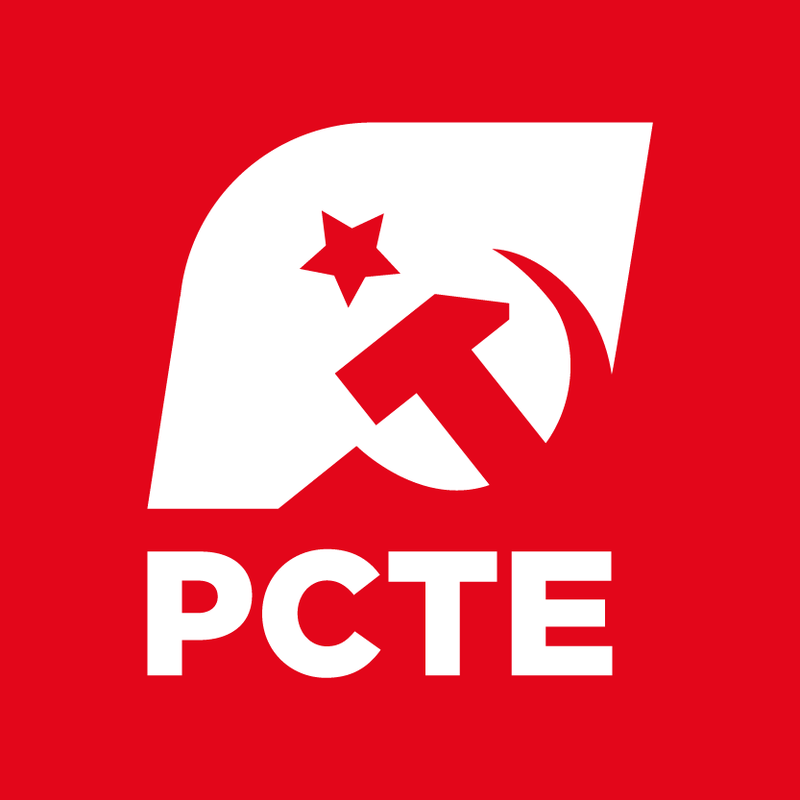 Since today, March 3, 2019, just in the 100th Anniversary of the creation of the Communist International, our Party will be renamed as Communist Party of the Workers of Spain (PCTE) and its designation can be adapted to the linguistic and cultural realities of Catalonia, Galicia and the Basque Country, that it will maintain in their functions all of its bodies and responsibles, it will maintain as its youth organization the Collectives of Communist Youth (CJC), its journal Nuevo Rumbo, its review Nuestra Política and the participation in the Initiative of Communist and Workers' Parties of Europe, in the International Communist Review and in the International Meetings of Communist and Workers' Parties. That the current resolution will be immediately conveyed to the fraternal Communist and Workers' Parties from other countries as well as the political, trade union, social and cultural organizations we have contact with, and will be published in the Party medias for its general knowledge. EXTRAORDINARY CONGRESS OF THE COMMUNIST PARTY IN DENMARK (CPiD). COPENHAGEN- In accordance with the decision made at its 12th ordinary congress in 2018, The Communist Party in Denmark KPiD held an extraordinary party congress on March 2, 2019. The main question before the congress was to decide on a proposal of dissolving the KPiD and take steps to establish a new communist party together with the Communist Party KP. An overwhelming majority of the delegates at the congress rejected this proposal. Its continued existence thus ensured, the KPiD will carry on its work and activities as before. A new Central Committee was elected, and Rikke G. F. Carlsson was re-appointed as General Secretary. COMMUNIST PARTY OF BANGLADESH EXPRESSES CONCERN OVER THE INDO-PAKISTAN MILITARY TENSION. 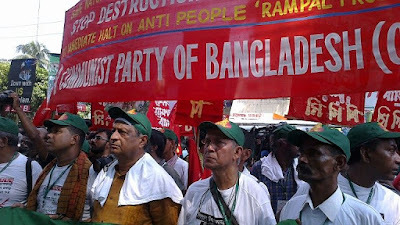 DHAKA- The Communist Party of Bangladesh (CPB) expresses its serious concern over increasing military tension between India and Pakistan. In a statement to the press on 4th March 2019 CPB President Mujahidul Islam Selim and General Secretary Md. Shah Alam said, increasing military tension between this two countries on the pretext of ‘Kashmir killing’ issue will create a catastrophic consequence for this region. This may even create a danger of nuclear war, which will endanger peace, security and sovereignty of countries of Asia including Bangladesh. Communal and Imperialist forces are already aggressively taking the advantage of this conflict. There are rumors that Zionist Israel is also instigate this conflict for the interest of their arms trade. CPB called upon all countrymen to remain alert about this conspiracy. CPB also called upon both India and Pakistan government to resolve the Kashmir issue and other issues by using diplomatic means. 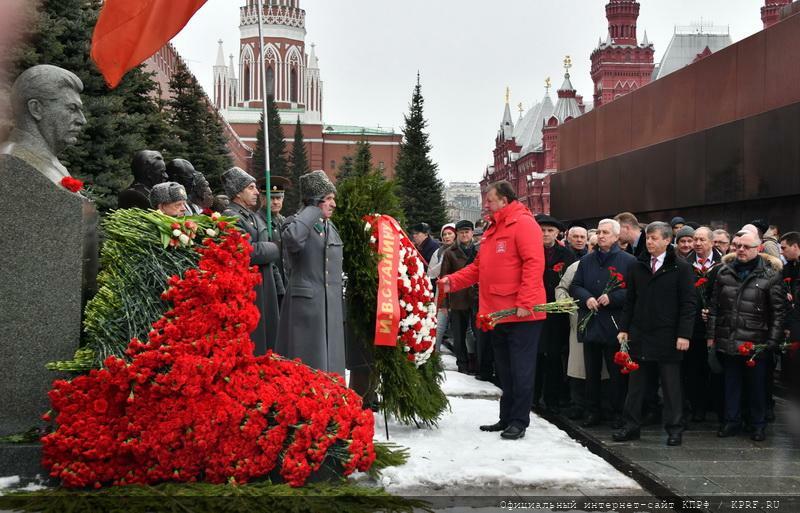 RUSSIAN COMMUNISTS HONORED THE 66TH ANNIVERSARY OF STALIN'S DEATH. MOSCOW- Hundreds of Communists, workers, people of every age gathered at the Kremlin Necropolis in order to pay tribute to the great Soviet leader Joseph Stalin on his 66th death anniversary. A speech was delivered by the deputy chairman of the Central Committee of the Communist Party of the Russian Federation (CPRF) V.I.Kashin who noted the extroardinary role of Stalin in the history of the USSR and the socialist construction. The attendees laid wreaths and flowers to Stalin's grave, as well as to Lenin's mausoleum.